Nevertheless, learning how to shoot a gun in an indoor shooting range reminded me a lot of the times when I had to work with difficult clients. Here are the three rules which could help you score better at the shooting range and when dealing with difficult freelance clients. My instructor taught me that when shooting a gun, you should focus on the two things you can control – the sights of the gun and the trigger. There are certain techniques of using them properly but basically, these are the only two factors a newbie shooter can control and should focus on. The same principle applies when you find yourself working with a difficult client. Focus on the project goal and how you do your job – those are the things you can control more or less. The client’s attitude or poor communication skills could only distract you. Stay focused on the task at hand and know that being competent and professional is enough to do your job, regardless your client’s desire to control you, for example. If you had a good shooting instructor, he or she would have taught you the basic safety principles of handling a gun. Those would ensure you’d not shoot yourself or anybody else. He would have also enlightened you how to properly aim by looking through the sights of the gun and how to pull the trigger so that you hit the target where you aimed. Just take the steps as directed, without thinking too much about it. It’s similar when working with a difficult client – if you have a repeatable process, that is. Do you follow a system when calculating your prices? Do you always confirm in written the project parameters or changes, you agree on? Do you have a methodology when performing each task? Do you follow a series of steps when working on a portion of any given project? If you do, then stick to it. It doesn’t really matter what the client’s mood, attitude, or communication skills are. 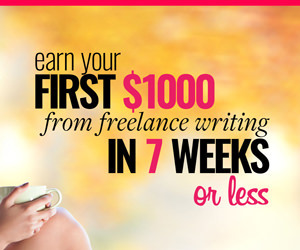 The working process may be less enjoyable for you but in the end, you’ll do your job and get paid. Just stick to your repeatable process. If you start worrying, you lose control of your gun – of course, not so much that you shoot somebody but enough to throw your focus off the sights and the trigger of the gun and on to the things you can’t control. The noise and the recoil startle you; you lose your posture; you don’t aim well so you don’t hit the target at all. Staying calm allows you to follow rule #1 – stay focused on what you control, and rule #2 – stick to your repeatable process in terms of safety principles and aiming techniques. The same is valid when working with difficult clients. If you follow the first two rules, it would be easier to stay calm. Don’t take the client’s attitude personally. Just do your job and move on. I know it’s often easier said than done, especially when working with particularly unpleasant client, but here’s a post to give you some ideas how to deal with difficult freelance clients. Have you been to a shooting range? 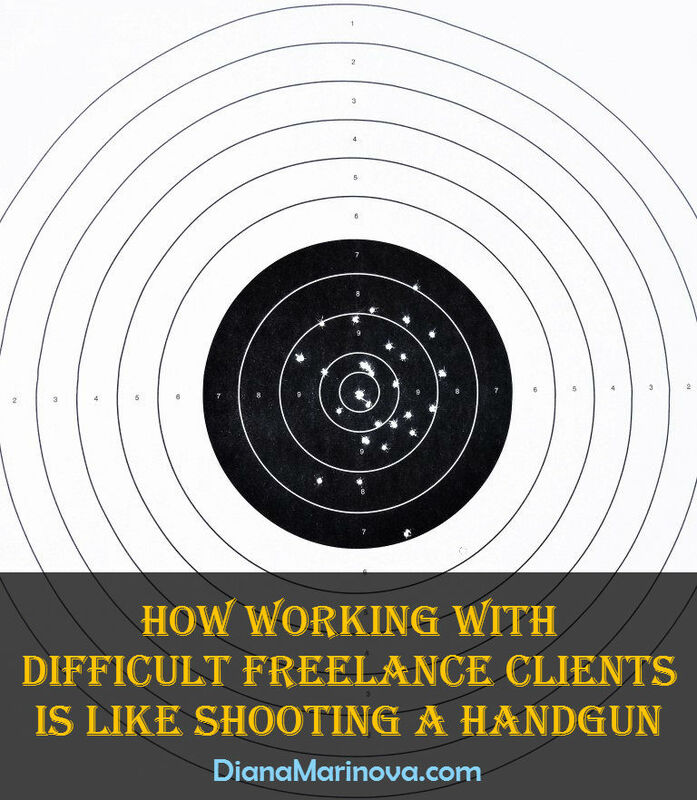 What other similarities you find between shooting a handgun and working with difficult freelance clients? How to Deal with Difficult Freelance Clients What Playing Mah Jong Taught Me about Freelancing Working with Freelancers – 4 Tips for Clients for Successful Collaboration Should You Lower Your Freelance Prices for Clients who Promise Future Work? The one thing your shooting instructor did not tell you is: For best results, use a shotgun loaded with buckshot. Guaranteed to obliterate the target. But if that is too extreme for you, then your three rules should get the bullseye. Ah, well. Happy hunting, Diana. But of course he told me, Xerxes! I just didn’t quite like the shotgun. Small caliber pistol is more like it. Besides, shooting is not necessarily my thing. It was fun to try but you’ll definitely not see me hunting anytime soon, especially with a shotgun. Well I guess I had to face similar issues quite a few times where clients always complain about our work and asks to make lot of changes to the finished work. Hi, Vicky – I thought the comparison between shooting a handgun and working with difficult clients would make for a fun post to write and read, I’m glad you liked it. I hope in the future you don’t get many of the clients you describe. Thanks for reading and commenting! Should do the trick. Or money back. So? 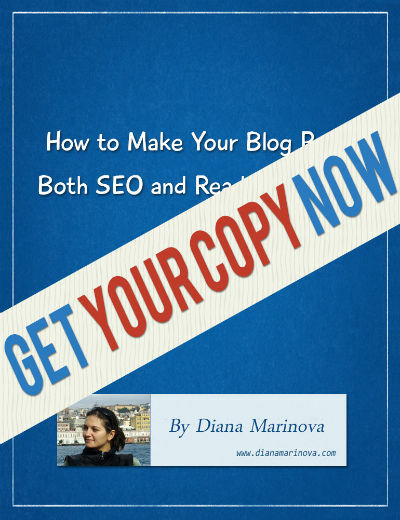 You lose one reputation, Diana, but gain another one: The Annie Oakley of the Freelance World. Establishing the ground rules in advance of an assignment is essential for both difficult clients and the clients you love. There is always the possibility of misunderstandings and a good relationship can sour quickly when you and the client disagree on a fee because it wasn’t established at the beginning of a project. Congratulations for making it to a firing range for the first time. I’ve never done the range but have done the woods. Man, that was a long time ago too but I still have the gun. I can’t relate to this topic I’m afraid, I haven’t run into any difficult clients so far. I’m sure my time will come though so your tips are great. I hope I won’t have to keep them in mind but who am I kidding. We can only coast so long before something is bound to happen right! I do appreciate though you sharing these similarities with us and I’ll be sure to share these with my friends as well. You never know who might need this list about now. Kudos to you, Adrienne – I couldn’t bring myself to try all the shotguns I had at my disposal at the shooting range. Definitely won’t see me hunting in the woods LOL. The only gun I (somewhat) liked was 22 caliber handgun. Well I’m a freelancer too and I agree with you regarding the title and its utterly true that sometimes we waste our energy and time just to convince a client. Convincing a client is not always a waste of time. But one should definitely pick his or her battles and avoid those, which are a waste of time. Thanks for reading and commenting, Mark! Diana, this is off topic. Why is the text of your blog and comments displayed in grey? Difficult to read. Black, please? I look forward to darker blogs. Oops. That didn’t come out quite right, did it? Interesting examples. I have certainly had difficult customers. I realised the hard way that I can only control what I choose to do. People will always do and say as they please. Great metaphor Diana! This can obviously apply to any career, but it did dawn on me that maybe best to leave the handgun at home if meeting with a difficult client. Ahhhh…the temptation might get the better of a less than calm person. The cocktails must be great wherever you are 🙂 I think I like the blogs written on the road. Definitely much more relaxed version of Diana. It’s funny you should mention this, Blasto – just last night I was playing with the idea of adding this more relax and lifestyle oriented series of posts to my blog. Like “from where I work today” posts, practical tips how to keep up with your work while traveling (e.g. costs of living in this or that country, how to find wi-fi in a certain country if your hotel turns out to be in the middle of nowhere with no cell-coverage, and alike).